After a year in the meeting room, the deal is done. 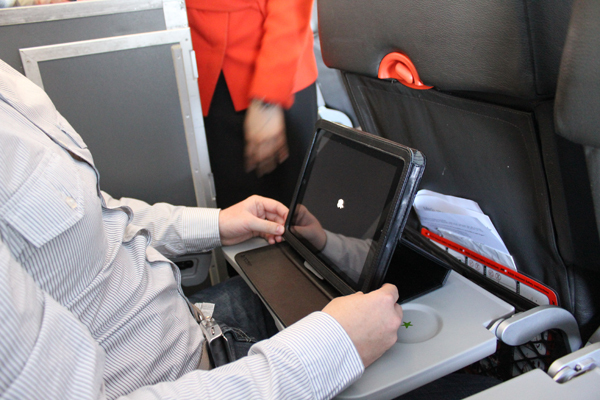 Jetstar has done the unthinkable, the airline is giving passengers an iPad. The only catch is you have to give it back after the flight is over. Here is the deal, for less than 20 dollars on flights over two hours an iPad can be yours. For now the offer is only extended to flights on the Australian domestic, trans Tasman, and short haul flights from Australia and New Zealand. Having an iPad, the idea seems great but the rented iPad will be slightly different, no Internet. Honestly having a connection brings your iPad to life, optimizing downloaded applications. 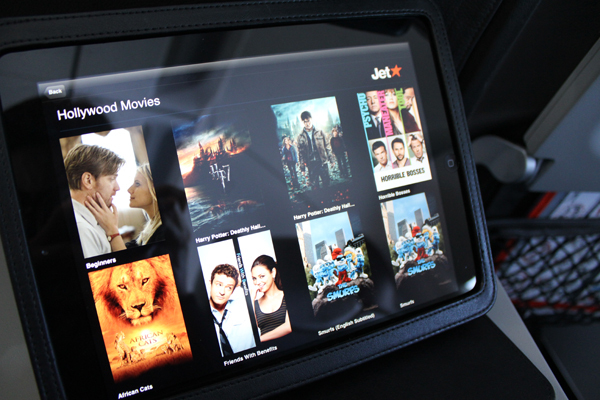 According to Jetstar the Internet free iPads will be loaded with plenty of entertainment options for children and adults alike. Games, movies, television, magazines and more filling the iPad with loads of options giving you a more enjoyable flight. 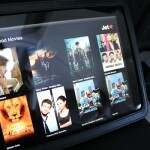 Jetstar has started its iPad for rent program in the Southern Hemisphere with intentions of the Asian market being the next. Questions remain: How long will it be before an iPad is on every flight? Will Android tablets attempt to get some of this untouched market share? Will passengers rent interentless iPads? The iPads will be fitted on the back of seats, sitting at eye-level for your viewing enjoyment. You can even use the flip-stand to set the iPad on your tray table. Don’t think about stealing the iPad, they will also be fitted with RFID chips. Jetstar is pioneering this iPad co-op and deserve all the credit if this becomes a standard option on every flight worldwide.